Hold onto your socks my friends. The inaugural ‘Soul Cupcake’ album got under way over the last two weeks. 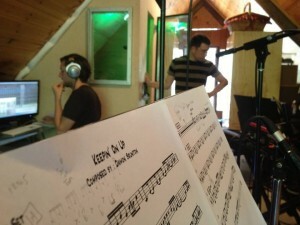 So far we’re up to 5 studio days and in mainly sweltering conditions .. BUT .. if I’m right .. this could be the funkiest and catchiest album of all time!! Stay tuned and we’ll keep you posted with upcoming developments. Maybe even a sneak peek at a track or two!